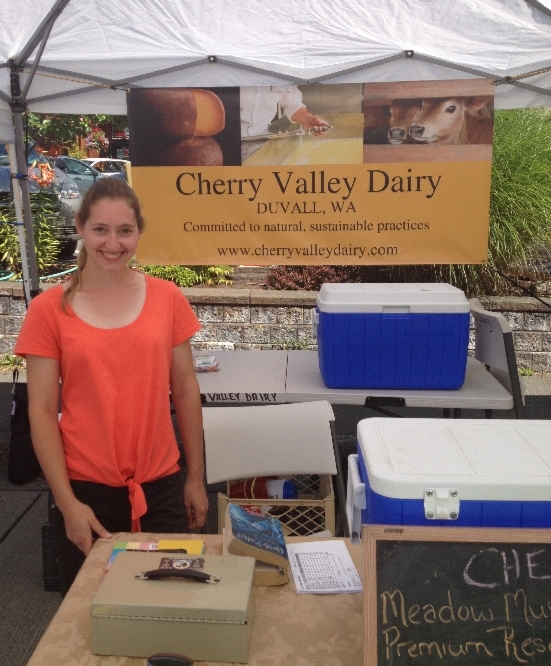 In May of 2012, Cherry Valley Dairy started making cheese in a creamery on their farm. Their American Farmstead cheeses have won acclaim at home, and now in Italy, as a wheel of cheese that was taken on a Slow Food tour as a gift for the hosts ended up in a blind tasting. 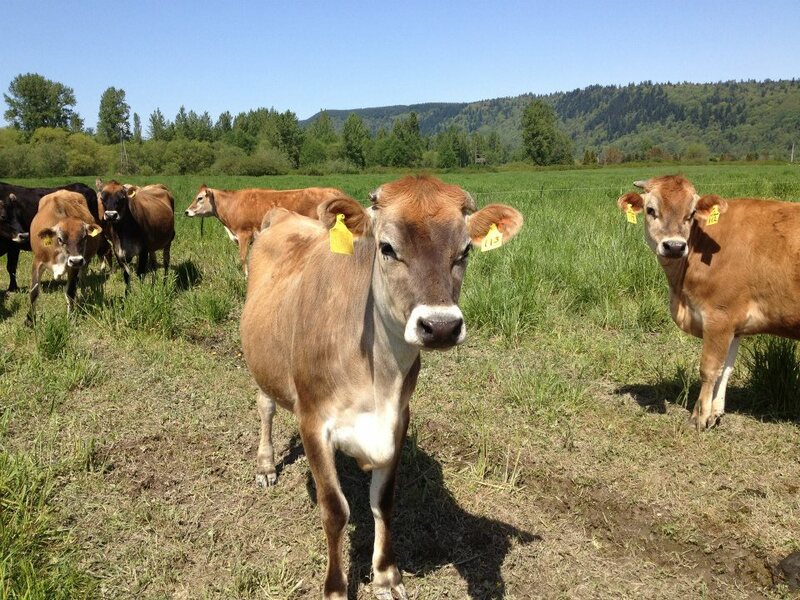 Making high quality cheese means starting with high quality ingredients, and Cherry Valley's small herd of Jersey cows graze the rich pastures that we are blessed with here in the Snoqualmie Valley. They produce milk that is high in butterfat and protein, and a warm yellow in color. This rich, sweet milk makes butter that is naturally yellow, with no colorings added, and gives master cheese maker Blain Hages the ideal base ingredient for the natural rind aged cheese he makes. The cows are milked two times per day, every day. Every other day, that milk is pumped just a few feet from the milk room into the creamery. Milk to be used for butter or cheeses in which the whey will be used is pasteurized. Whey is a byproduct of cheese making. Milk for aged cheeses where the whey is not captured for human consumption can be used raw. In large cheese vats the milk is carefully monitored to maintain the correct temperature, culture is added, and the milk separates into curds and whey. The curds are what will become the cheese, while the whey is drained off and used either for whey ricotta cheese, or as a high quality animal feed for a neighboring farm. The curds are stirred and cut, placed into molds, and pressed to knit the curds together and remove any excess whey. After pressing, the cheese is removed and covered in a natural rind. 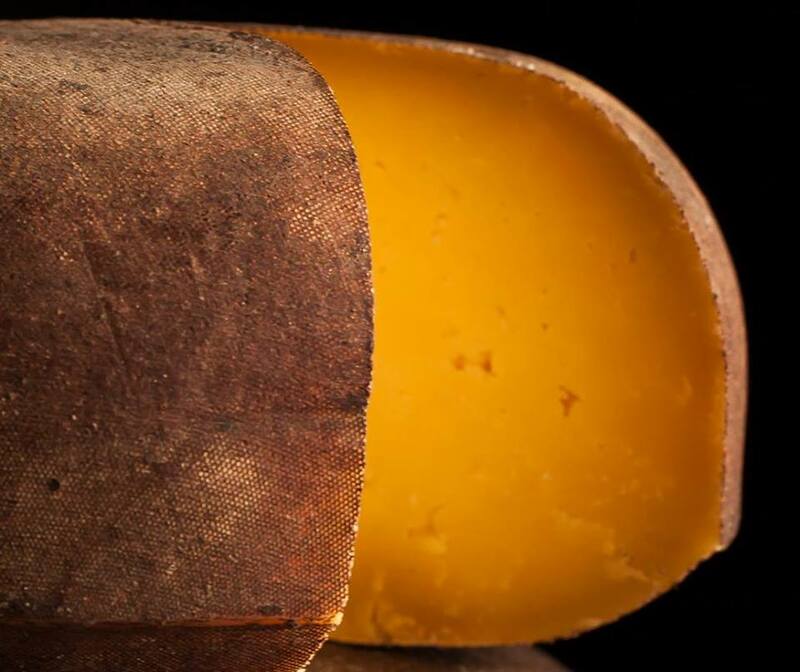 Dairy Reserve, which is the flagship cheese, is rolled in a mixture of espresso, cocoa, and cinnamon to create a rind coating. Each wheel of cheese is individually labeled and placed in an aging room. Each week affininage, the process of caring for aging cheeses, is performed. Each wheel is inspected for cracks or imperfections, and turned so that moisture will be lost evenly throughout the wheel. The humidity and temperature of the aging room is carefully controlled to keep the cheeses from drying too quickly or spoiling. When a cheese has aged the appropriate length of time, it is cut into wedges and dipped into its wax coating by hand. 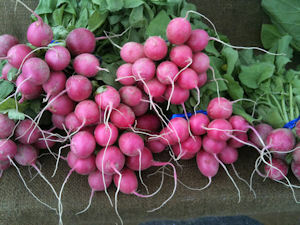 The entire process takes any where from one month up to a full year, depending of variety of cheese and desired result. The three unflavored cheeses, Meadow Muse, Dairy Reserve, and Premium Reserve, are all from the same recipe. 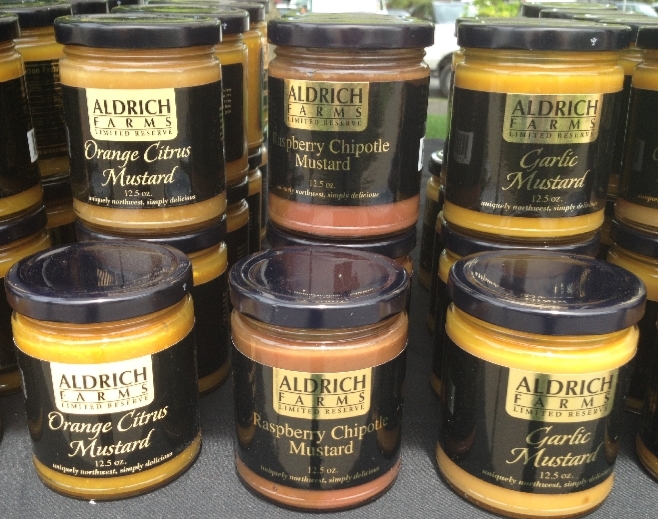 The difference in flavor is due to differing aging lengths, with the Dairy Reserve being aged for four months. Making and aging cheeses this way is time consuming and sometimes results in decreased yield, but the end product is well worth the labor and wait.